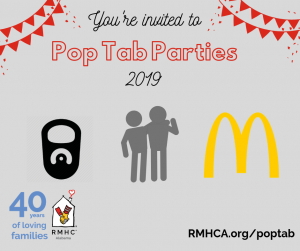 Ronald McDonald House Charities® of Alabama is able to keep families together and near to the medical care their child needs through three major programs: the Ronald McDonald House® in Birmingham, two Ronald McDonald Family Rooms and the Happy Wheels Cart. 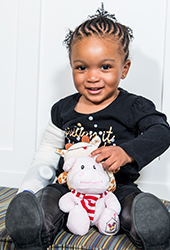 Learn more about our three programs here and how they build a comforting, supportive communities for families who find themselves far from home when a child is sick or injured. Our House is just like yours, only multiplied by 73! Check out our Wish List and see the everyday household items our House needs. Create a Wish List Drive with your friends, family, or co-workers. With just 14 full-time staff members, the Birmingham Ronald McDonald House® could not provide dinner every night for all our families without the help of hundreds of caring volunteers … caring people like you! Families at the Ronald McDonald House® in Birmingham enjoy a cozy bedroom plus cooking, laundry, internet and recreational facilities — learn more about just a few of the families we serve each and every day.